The Dakota is one of the most unique events spaces in the city. Its multi-level design allows for multiple group spaces with varied views of the stage and levels of privacy. From sit down meals for 10 to banquets for 350 people, the kitchen staff with executive Chef Derik Moran is ready. Regardless of the size of the event, the Dakota kitchen staff is always able to satisfy. With a bar of fine liquors, custom beer brews, an impressive wine cellar, and mixologists seasoned in creating fantastic cocktails, we are confident that our bartenders will add to the decadence of your evening. 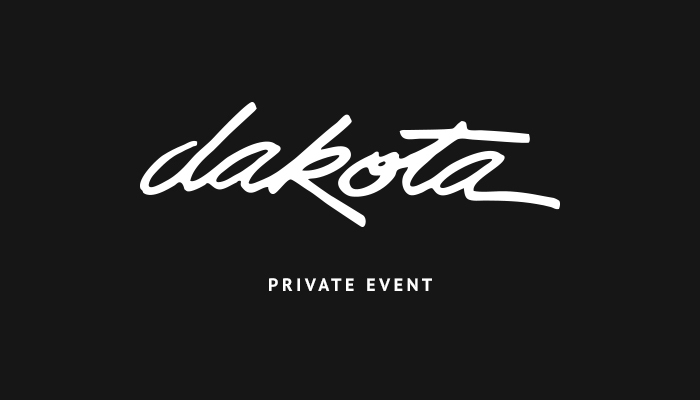 Our professional system, full stage, set-lighting, and large screen monitors for presentations are perfect for whatever event you’re planning, and the Dakota is more than able to accommodate. Need a good band for the night? We have a short list of fantastic bands ready to perform!